And today our Cyber Monday deals continue into Tuesday. With the help of a code, you can help satiate your thirst for knowledge, the very fruit of our souls, for a variety of majestic course bundles on our deals site. With this continuation we have three fantastic bundles that just might interest you. Bundles of joy that can give you a foundation to start a new career, or even bolster and add to your already vast pool of knowledge. Interested in learning something new? Use code CYBERMONDAY20 for an extra 20% off of all eLearning course bundles. The first bundle is one that can help you master the basics, essential in learning any new skill. Four courses to get you four basic CompTIA certifications that are surprisingly versatile as entry points into a larger world. Learn about hardware, the intricacies of networking and even touch on network security, a hot topic these days. These are only $49, 95% off of the original $1077. And in case you’re wondering, the original price is indeed right, these certifications are rather expensive to obtain normally. Four starter certs for the beginner in all of us. The second bundle is one to help make you the best developer you can be, a Microsoft Certified Solutions Developer, giving you all the knowledge and tools necessary to make wonderful and responsive Windows Store apps with C#, a most versatile programming language. This bundle is only $49.99, which is usually $614. Third, and never last, is a great course to get you coding fast by doing something fun: making games! 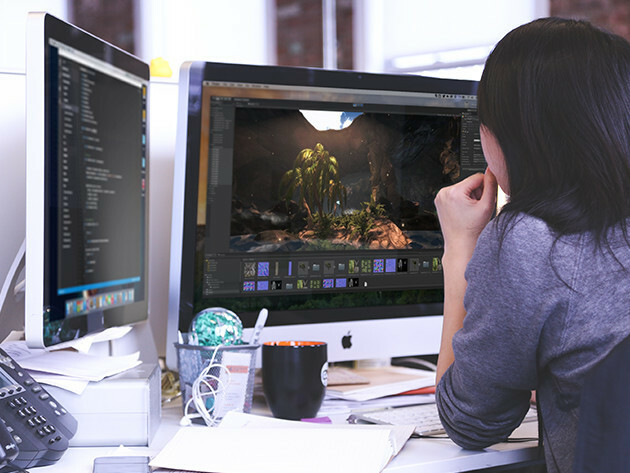 This is the pervasive Unity 5 Developer course that we’re so fond of. And why are we? Because it gets you into programming and developing by doing, and doing something fun at that. Only $35 gets you access to over 49 hours of well-structured content brought to you by Udemy. And you’ll get quite a bit.